Got a tiny slot today for a few pics. Send you the best. 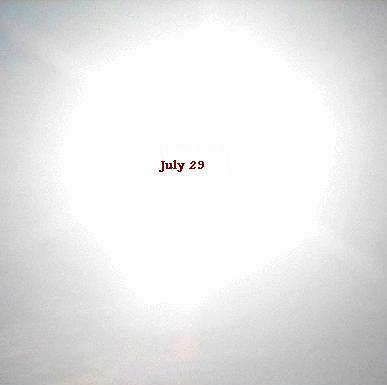 Please note this distinct round object from July 31 to one photographed with a solar filter on July 27 in Dallas, Texas. They are the same size and shape.  Compared to another photo from China taken July 29, the object has moved closer to Earth, so that depending upon the angle of the viewer or time of day, it can be seen outside of the sunball.